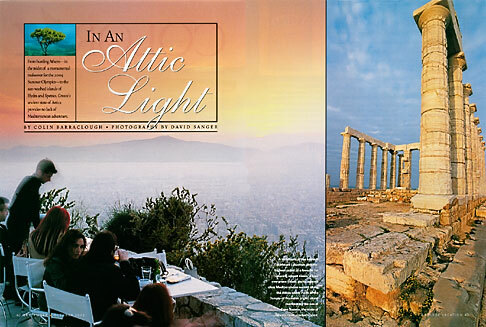 This story on Athens was photographed in preparation for the Olympic games in 2004 and ran in Endless Vacation magazine. Springtime in Athens is marvelous. Fresh wildflowers, streetside cafÃ©s, eager crowds and of course the monuments, classic and enduring as ever.